This fall, our lessons focus on God, what it means that we are created in God's image, and what it means to worship God alone. The writer of the student book lessons is Clara Welch; the teacher book writer is Stan Purdum. This unit takes us through texts that help us discern what "Godness" is. The readings from Genesis present the Lord as the divine initiator of the cosmos and as the creator of humankind. The Exodus text reminds us that God is not limited to what we can know of or imagine about God, and that mystery remains part of God's nature. In Lesson 4, we learn about Wisdom as an essential part of who God is. And Lesson 5, invites us to consider Christ's role with God in the world's creation. These lessons encourage us to develop the spiritual practice of mindfulness. This unit focuses on the human condition. Lesson 6 recalls the story of the sin of Achan, reminding us of the chasm sin imposes between ourselves and our Creator. Lesson 7 takes us to Psalm 51, which is a prayer that models the nature of penitence that asks God to bridge the breach caused by sin. Lesson 8 lets us hear Jesus talking about being born anew and how that provides entry into the kingdom of God. Lesson 9 takes us to a text in Romans, which enables us to consider what the redeemed life looks like. These lessons help us focus on the spiritual practice of confession. This unit unites around the theme "objects of worship," with "objects" meaning not worship aids, such as candles and paraments, but those things we place ahead of God. In Lesson 10, we look at the first two of the Ten Commandments. Lesson 11 takes us to the story of the gold calf and gives us a chance to think about why we may deliberately choose to worship that which is not God. Lesson 12 reminds us that nothing we worship other than God can impart life. And Lesson 13 invites us to understand that the worship impulse is only satisfied when it is directed toward God. These lessons lead us deeper into the spiritual practice of worship. A comprehensive Bible study plan with more flexibility in terms of Scripture selection and topics. Observation of the church seasons, including Advent and Lent. Suggestions for developing spiritual practices (prayer, confession, worship, mindfulness, solitude, community, hospitality, neighboring, service, and celebration). One font size in the student edition to accommodate all readers. No printed Scripture text allowing you to choose your own Bible translation. Visit AdultBibleStudies.com and sign up for the FREE weekly newsletter to automatically receive the FREE Current Events Supplement and other information about these resources and more! Clara K. Welch has served churches in Maryland, South Carolina, and Georgia as a diaconal minister and an ordained deacon. She is certified in the areas of Christian education and older adult ministry through the General Board of Higher Education and Ministry. Following graduation from Lebanon Valley College with a bachelors degree in music education, Clara taught music at Red Bird Mission in Kentucky. She then attended Scarritt College in Nashville, where she earned a masters degree in church music and Christian education. After several years of working in the local church, she returned to school and earned an MTS at Candler School of Theology, Emory University. Clara and her husband, Brian, have one daughter, Rebecca Jo. 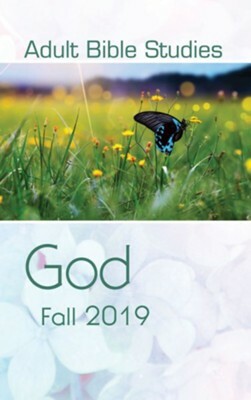 I'm the author/artist and I want to review Adult Bible Studies Student Fall 2019 - eBook.